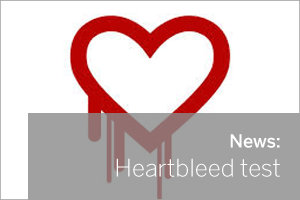 Alt-N Technologies (the developers of MDaemon and SecurityGateway) and MailStore have both confirmed the security flaw to OpenSSL, known as Heartbleed, does not impact any of their products. However as IT professionals you may well be using other Open SSL internet facing services on your network so if you have any concerns, we recommend you take the time to run a quick scan by entering the site details using one of the following websites. As a side note If you are interested in knowing even more detail about the SSL cipher versions your server supports this search is particularly detailed.